Arteries are blood vessels that deliver blood from the heart to all other body parts. Arteries located on the temple of the head are called temporal arteries. A condition called temporal arteritis refers to a swelling of the temporal artery, which can cause headache, pain in the temples or fever. It can also have further repercussions like impaired vision. However, these symptoms can be indicative of other issues, and for that reason, it is best to have a temporal biopsy performed. There are few risks associated with temporal biopsies; however, below we provide a list of possible complications and risks. Prior to the Procedure, the doctor will perform a medical evaluation which includes a requisite physical exam, where the doctor will feel your temporal arteries and blood tests. Furthermore, the patient will have a discussion with an anesthesiologist. The physician will explain all of the relevant information regarding the procedure, including how the procedure is done, and why it is done. 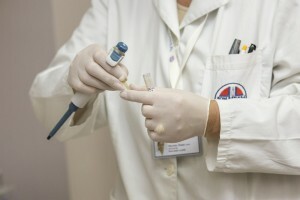 Furthermore, the doctor will make the patient completely aware of the associated risks and benefits of the procedure. For the actual procedure, it is important to arrive approximately an hour before the procedure. This will give you sufficient time to prepare for the procedure. You will be given an IV, which will allow the proper medications to enter your blood stream. The biopsy area will be thoroughly sterilized. You will be given a local anesthetic, and also, a sedative may be administered to help the patient relax. You will fell drowsy, but you will be awake during the procedure. The procedure usually typically lasts 30 minutes. If you were administered a sedative, you will be advised to stay in the recovery area until the effects of the sedative have worn off. After the procedure, the patient is free to go home, as it is an outpatient service.